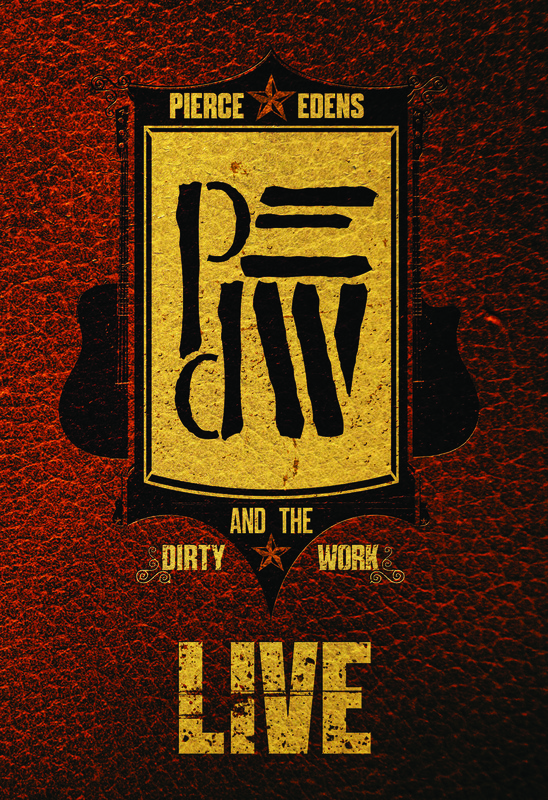 Based in Asheville, NC, Pierce Edens and The Dirty Work have been mainstays in the SouthEastern roots music scene for several years, and now the band is back again with the release of Pierce Edens and The Dirty Work, LIVE, a live performance DVD and CD collection. It will release locally with a preview of the DVD at the Fine Arts Theater in downtown Asheville the night of Thursday, November 21, 2103. 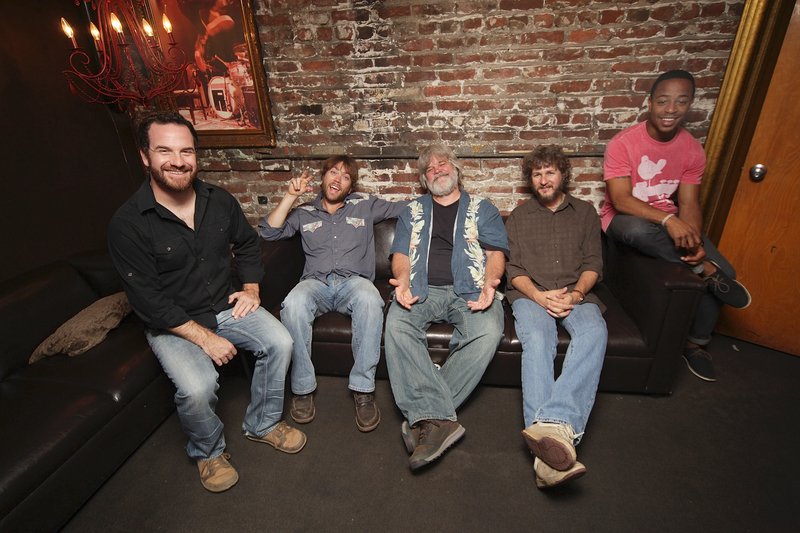 The band will perform a release party concert on Friday, November 22nd at the Isis Music Hall in West Asheville. Pierce Edens and The Dirty Work are intent on celebrating in full force; fans of the band can expect to see them at their best both on the big screen and in the flesh over the course of two hot ticketed evenings. Singing, performing, and recording for several years, the songs of Pierce Edens resonate from a calling sparked within him to share a story. It’s a story inspired by old-time tunes, a rock and roll fever, and the downright rural, gritty mountain life of his upbringing. It doesn’t seem to matter whether he is singing a haunting, foothill-influenced ballad with a modern Americana twist, or writing a 21st century stomp-and-clap that calls back to the Appalachian churches, it all gets entangled in his unique storytelling. Pierce Edens and The Dirty Work. Photo by Studio 828 Photography. “There are few who can touch Edens as a singer or as a songwriter,“ says Bold Life’s Robin Tolleson. “He’s blessed with a soulful, resonant growl that seems to mix Johnny Cash, Eddie Vedder and Citizen Cope.” It’s an eclectic mélange of sounds exemplifying the fact that this man can’t be contained by any one genre; he’s an American musical anomaly. 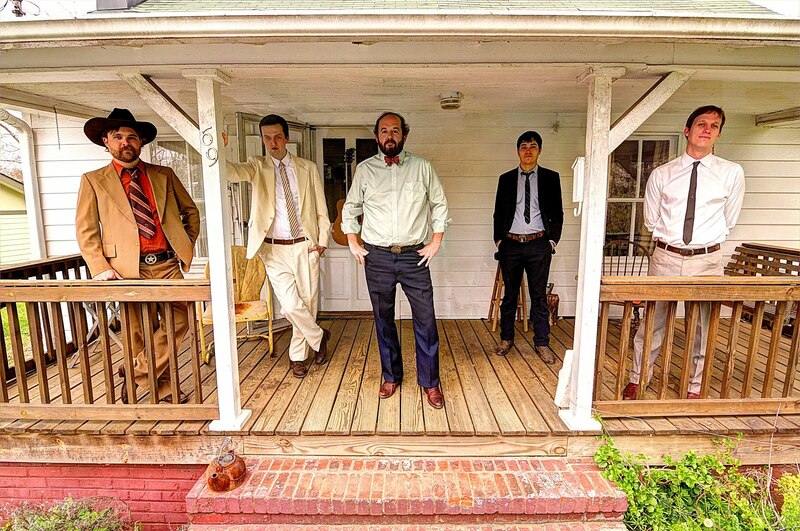 Along with Pierce Edens’ lead vocals and acoustic guitar, The Dirty Work includes Matt Smith (pedal steel and electric guitar), Jesse James Hongisto (upright bass), Dane Rand (drums and percussion), and Jim Aaron (Harmonica). Special guest musicians on the DVD include Jacob Rodriguez (saxophone) and Justin Ray (trumpet). In collaboration with Sound Lab Studios, the band recorded two nights at The Lexington Ave Brewery in Asheville in full Dolby digital surround sound in high definition on multiple cameras. Distilled now into both CD and DVD formats Pierce Edens and The Dirty Work, LIVE shows the band in their most raw, intense, and revelatory release to date and releases nationally on Tuesday, December 10, 2013. Sound Lab Studios is an Asheville-based media production company that is a partnership between More Chi Films and Golden Manatee Productions. The footage was directed and edited by Peter Lutz; produced by Adam Johnson & Peter Lutz, with audio recording & mixing by Adam Johnson and front of house sound by Sean Mack. Greg Herman for the album artwork and digital motion design. For more information about Sound Lab, please visit http://www.soundlabstudios.com. More information about Pierce Edens and his tour dates can be found at www.pierceedens.com. Red June. Photo by Bobby Amoroso. Red June will celebrate their 5-year anniversary and recent recording contract with Organic Records at the Grey Eagle on Saturday, November 16th at 8pm. Amanda Anne Platt of the Honeycutters opens the show. Tickets are $10 in advance, $12 at the door. Proceeds from the event will go directly towards costs for their third full-length album. In early September, Red June signed with Organic Records, a new eclectic Americana label from Crossroads Entertainment in Arden, NC. The band has studio time scheduled in December of 2013, with an anticipated release of Spring 2014. Other highlights of 2013 include band member John Cloyd Miller winning the Chris Austin songwriting contest at MerleFest as well as a competitive Artist Fellowship for songwriting from the North Carolina Arts Council. Red June’s 2012 release, Beauty Will Come, was met with high acclaim with Aquarian Weekly stating, “Beauty Will Come by Red June just may be the most stunningly gorgeous country album in years.” Their debut album, Remember Me Well, was released in 2010 with WNCW listeners voting the album the #1 regional release of 2010. Please visit www.redjunemusic.com for more information and their tour dates. Jose’ Martinez, our beloved drummer of the past 12+ years and dear friend, has decided to retire from the road and is currently living and performing in Seattle, WA. We wish Jose’ all the best with his future. Watch this exclusive video of Leftover Salmon introducing Alwyn and performing “Bird Call” Live at JamBase HQ in San Francisco. → http://bit.ly/19GaRCm. Thanks to Susan Weiand for the new band photo! 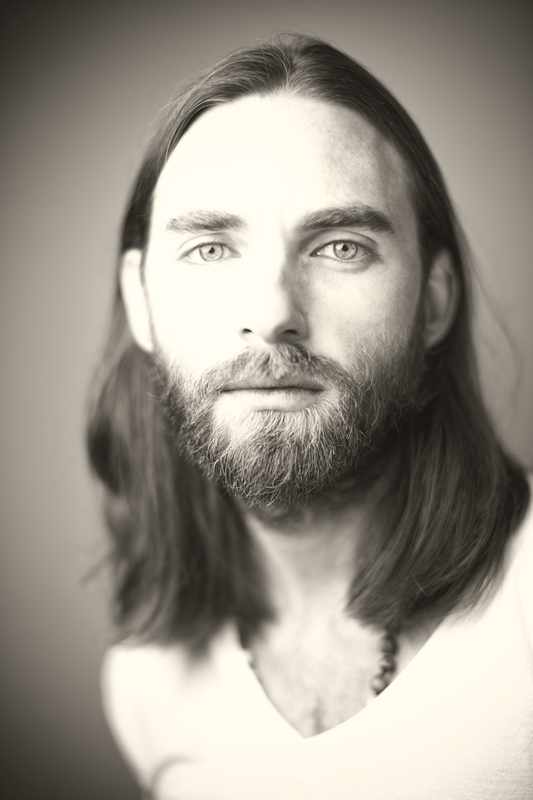 Born in 1989 and raised in Marshall, TX, Alwyn Robinson began performing music at the age of three under the guidance of his father and two older brothers. He studied classical percussion as well as marching percussion from his early years through college, and began playing drum set with local bands in Marshall around fourteen. While studying at Texas Tech University and CU Boulder, he performed in various musical ensembles and studied a broad range of musical styles, from classical percussion to steel drum music. Currently living in Colorado, he is teaching and performing with numerous ensembles, including playing with musicians/groups such as: Ron Miles, Organization, Megan Burtt, Ayo Awosika and Ayo Awosika amongst others. “Two Highways” features special guest Steve Berlin (Los Lobos) on keys, and is the final in a series of four original tunes that have been released since this summer through LoS’s collaboration to offering Handcrafted Music with Handcrafted Beer. The new tunes are pre-released exclusively within Breckenridge Brewery’s 12-pack Sampler Packs through October. A download code for each song is provided on an exclusive Artist Series coaster, specially created by four well-known artists from the “Rock Art” community and packaged inside the Sampler Packs. There are also screenprinted posters of each song’s artwork available. Tyler Stout designed the image to go along with “Two Highways.” The song will be available soon on iTunes. 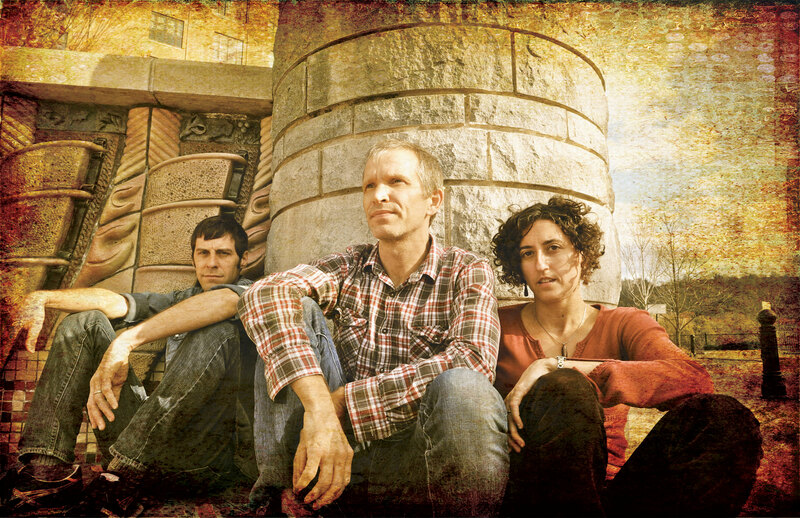 The Honeycutters are an original country roots band based in Asheville, North Carolina. Since 2007 when the group formed, they have been playing music that is consistently as catchy as it is heartfelt. 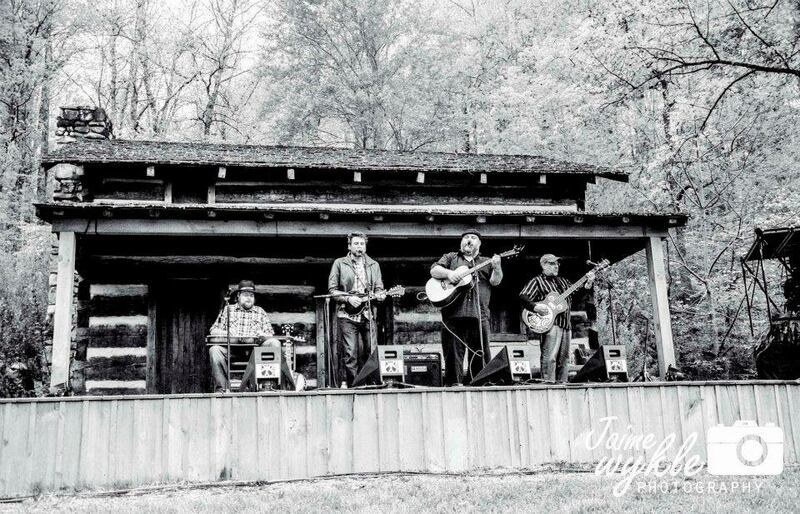 Organically grown around the songs of lead singer Amanda Anne Platt, the band has gained an audience that has stretched far beyond their mountain home to include all corners of the United States. They were voted WNC’s favorite Americana band in the Mountain Xpress reader’s poll for three years in a row from 2011-2013. 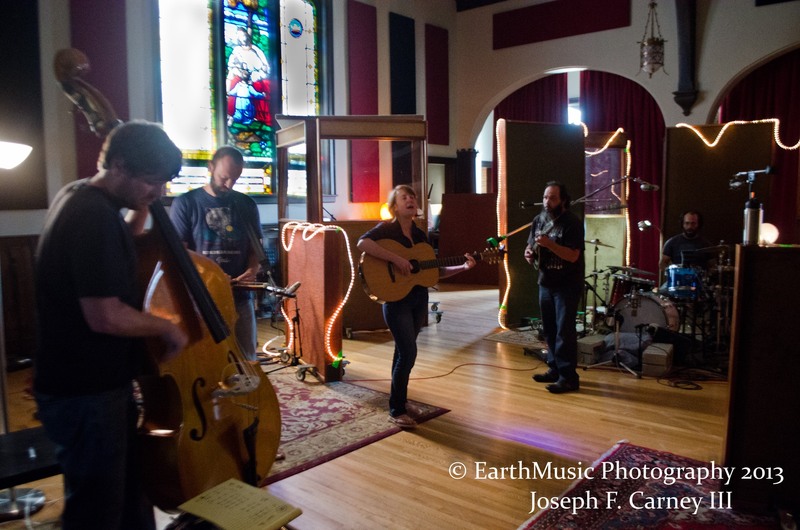 This past spring they surpassed their Kickstarter goal of raising $28,000 to fund their next album, which they are currently recording in Echo Mountain Studios in Asheville. 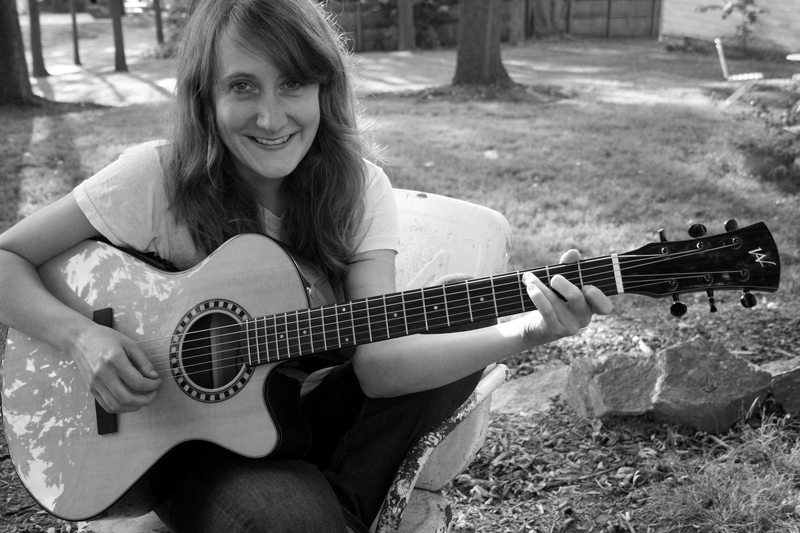 Amanda Anne Platt has been hailed as “one of the best songwriters coming out of WNC these days” by WNCW programming director Martin Anderson, and her voice has been described as “perfectly unadorned” and “recklessly beautiful”. Her song, “Little Bird,” won second place in the general category of the Chris Austin Songwriting contest in 2011 as well as taking home the grand prize in the Great Lakes Songwriting Contest that same year. Her lyrics are as catchy and heartbreaking as her melodies. Dane Smith of Asheville NC’s Mountain Xpress writes “Her songs make you sad…in a good way!” In both her simple composition and honest delivery it’s easy to hear the influence of country legends such as Hank Williams, Patsy Cline, or Loretta Lynn, and with this Miss Platt credits growing up listening to her Father’s extensive record collection every Saturday morning. Despite her love for classic country, she cites Bruce Springsteen and Tom Petty as major influences and her songwriting carries a wit and an edge that plants her firmly in her generation. The band is frequently mentioned along with the movement to “Take country music back to it’s roots”. The Honeycutters are just doing what they know how to do: making music that feels as good to hear as it does to play. Their original brand of Americana has proven equally appealing to both the musician and the music lover, the country and the city, and the old and the young. Tal Taylor on mandolin, Rick Cooper on bass, Josh Milligan on drums, and Matt Smith on guitar & pedal steel round out Platt’s songs and create a sound that carries just as well across the bar room as in a church or a theater. For more information about the Honeycutters and their tour dates, please visit: www.thehoneycutters.com. Since his successful debut of his self-titled album, Sam Lewis has been busy crafting songs the next one. A soulful songwriter, Sam sings with raw emotion, inviting you into his life and love stories; he has a way of touching deep into the heart of listeners with his straight-forward and captivating music. “There’s so much soul pouring out of this guy’s pores you could bathe in it. It’s like hearing Al Green for the first time,” writes No Depression’s Grant Britt. Barbie Angell is a poet, short story writer, satirist and artist based in Asheville, North Carolina. Born near Chicago, Barbie grew up on a farm in Yorkville, Illinois. After her parents divorced, she was placed in Mooseheart, in Aurora, Illinois. Known as “The Child City,” Mooseheart is a home for children, sponsored by the Loyal Order of Moose, whose parents are unable to care for them. While her first Christmas there was difficult, one of the gifts donated to her was a diary that would change her life. Since an orphanage is not a place where one can have privacy, she chose instead to hide her thoughts in poetry. Barbie’s writing flourished there. After graduation, Barbie attended a small, private school near her family. Since she had her sights set on being a lawyer since the age of six, the attention her writing garnered there was not enough to change her career choice—until her mentor, Lincoln College’s theater director Jerry Dellinger, sat her down for an honest discussion. “So here’s the thing.” Jerry said, “You want to study to be a lawyer, but that’s not right. You’re not going to ever be a lawyer no matter how much you study, because you are a writer. That’s what you’re good at and that’s what you should do.” This discussion changed her major—and her life. In 1994, Jerry convinced her she should perform her poetry in order to grow as an artist, and Barbie gave her first live performance at the Bloomington, Illinois Barnes & Noble. In 1997, she began successfully performing at a local bar, and also started “The Open Mic That Wouldn’t Die,” which she ran until moving to Asheville in 1999. Her words took her to a poetry competition in DC in 1997 as well, where she placed 12th out of 1400 poets from around the world. Barbie has performed in coffee houses, bars, ice cream shops and outdoor venues. Her goal has always been to reach people who don’t know they like poetry, and convince them that they do. In addition to live performances, Barbie has sold over 500 copies each of three previous self-published volumes of poetry. Barbie is a writer who rhymes, and her affinity for rhyme is not surprising at all—she grew up devouring the works of Shel Silverstein and Lewis Carroll. As a child plagued with illness and severe asthma, she spent quite a bit of her childhood alone. As is often the case with writers, her love of words is derived from the fact that books were her closest friends. Since moving to Asheville, NC, Barbie has performed her varied collection of poetry in venues ranging from coffeehouses and ice cream shops to bars and bookstores. Named a Mountain Xpress Best of WNC Poet in 2011, 2012 and 2013, she is also well known in the online community and was named a Best of WNC Social Media Personality in the 2013 readers’ poll. And now Barbie is following in Shel’s footsteps again, with her first book of children’s poetry and illustrations, Roasting Questions, which was published by Grateful Steps Publishing House in Asheville. and see more of her words at www.barbieangell.com. Handcrafted Music Deserves Handcrafted Beer. 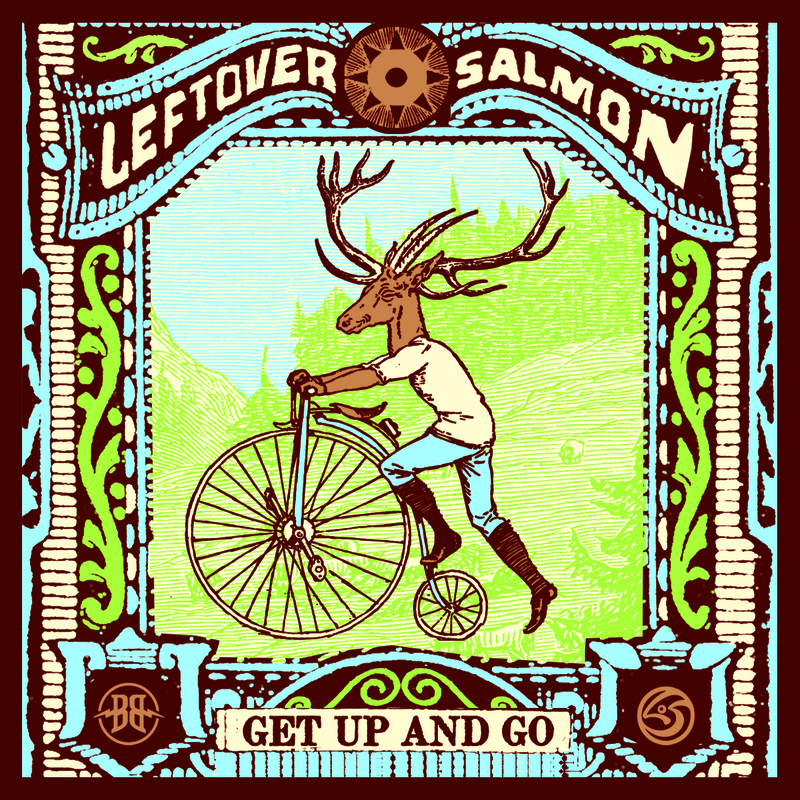 Leftover Salmon is releasing their third original single, “Get Up and Go,” through Breckenridge Brewery of Colorado on select 12-packs Sampler Packs through October. “Get Up and Go” includes guest musicians Steve Berlin (Keys), Andy Hall (Dobro) & Joey Porter (Organ). The download code for the song will be marked on a Rock Artist Series coaster, specially created for the song by Nate Duval. It will be available soon on iTunes. 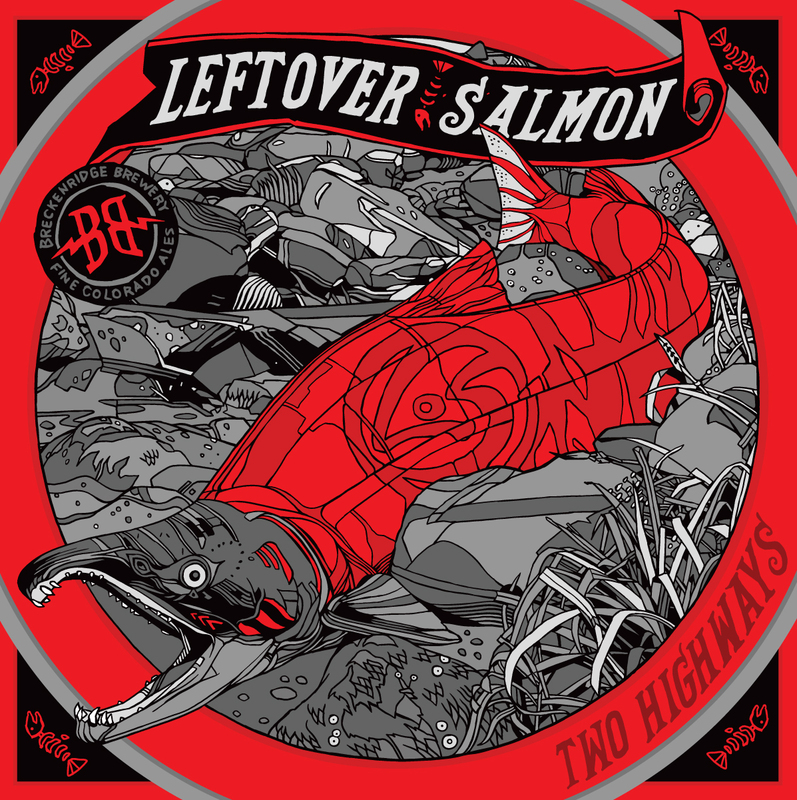 This is the third song in a series of four recorded in a special partnership which brings new meaning to the practice of catch and release between Breckenridge Brewery and LoS this year. “I wrote ‘Get Up and Go’ on the beach in Newport, Oregon. A friend was injured in a car accident and had been holed up recovering for months on end, in a wheelchair and trying to take care of her two kids. It was clear she needed a break so my girl and I packed her and the kids up and went to the beach for a couple days of recreation. One afternoon I excused myself to try to do some song catching on the hotel balcony, and thought of how good it is to get out and enjoy the world when trying to rehabilitate one’s self,” says Vince Herman. Breck Beer and LoS will be hosting contests that include winning a trip for two to the Boulder, CO Thanksgiving shows and an Andrew White guitar played by Vince this season. Limited edition screen-printed posters of each of the songs, framed by Further Frames, are also among the prizes. The contests and posters will be announced through select giveaways on social media and at special events across the country. NPR’s Mountain Stage heralded Colorado’s Leftover Salmon as “one of the most beloved acts on America’s summer-festival circuit.” Leftover Salmon emerged on the scene in Boulder, CO in 1989 as one of the first bluegrass bands to add drums and tour rock & roll bars, helping Salmon become a pillar of the jam band scene and unwitting architects of the jam grass genre. “This is one fish that has only gotten better with age. Fiery solos and elements of country, bluegrass, jazz and jam rock combine into a heady mix of feel-good tunes — and some that carry a hefty message, as well,” said CMT. 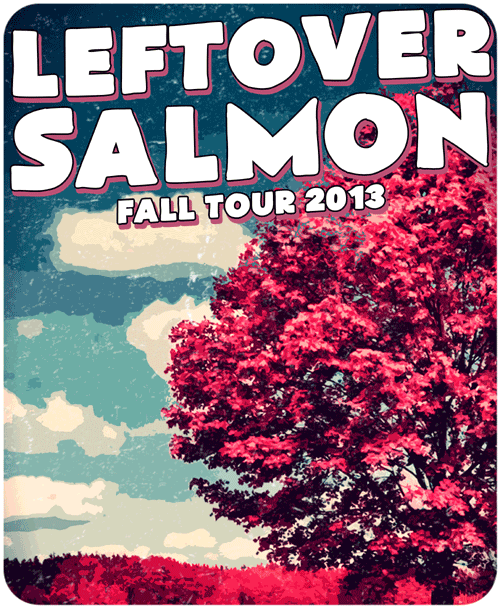 Stay up to date this summer and fall with more Leftover Salmon/ Breckenridge Beer news at: http://www.breckbrew.com/LeftoverSalmon. 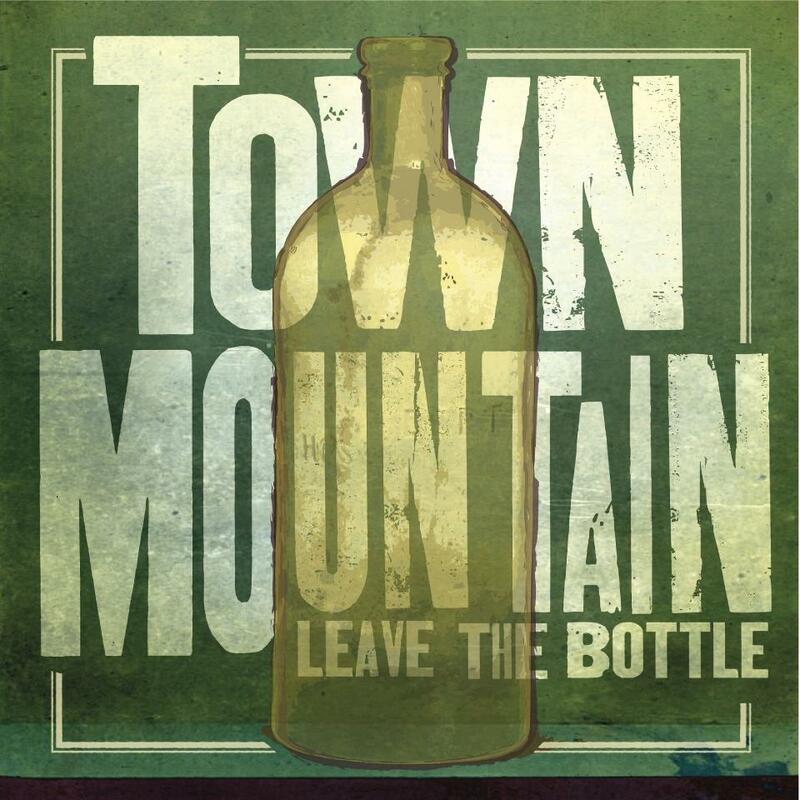 Congratulations to Town Mountain and their lead vocalist Robert Greer on winning 2013 IBMA Momentum Awards. Robert Greer brings home the Momentum Award for “Vocalist of the Year” and Town Mountain is awarded the honor for “Performance Band of the Year.” The awards cap off a year of fantastic growth for the band which began with the release of their sophomore Pinecastle Records album, Leave the Bottle. The band is pumped for next year and kicks off festival season with performances at Mountain Song at Sea, Wintergrass, Suwannee Springfest, MerleFest and others to be announced. 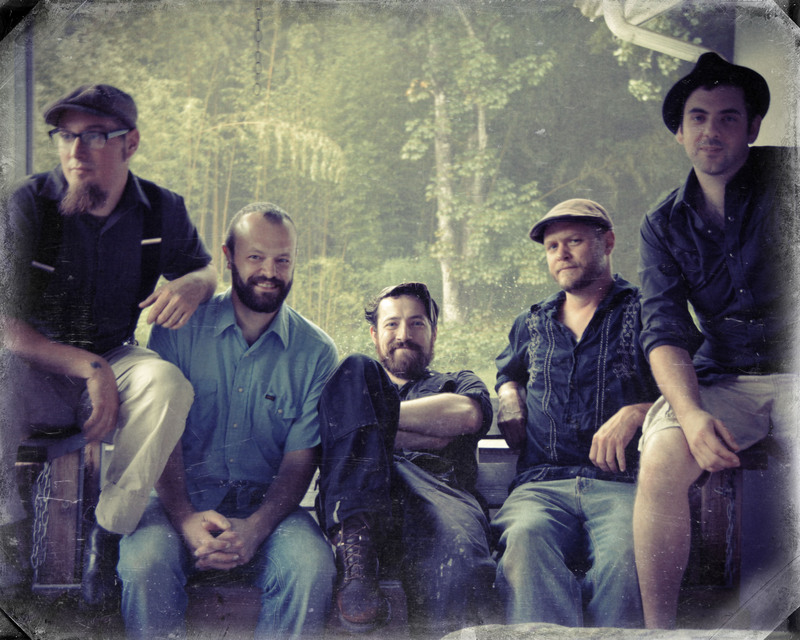 Based in Asheville, NC, Town Mountain is Robert Greer on vocals and guitar, Jesse Langlais on banjo and vocals, Phil Barker on mandolin and vocals, Bobby Britt on fiddle, and Jake Hopping on upright bass. One listen to their instantly memorable songs, and it’s plain to see why Grammy-winner Mike Bub would align with the group to produce Leave the Bottle as well as Steady Operator . Leave the Bottle effortlessly covers a wide array of styles in the string band spectrum featuring the stellar in-house songwriting that has become the band’s trademark. There’s the barroom swagger and honky tonk edge of tracks like “Up the Ladder” and the title track “Leave the Bottle”, the Jimmy Martin style bounce and confidence of “Lawdog” and “Lookin’ in the Mirror”, the Irish flavor of Bobby Britt’s “Four Miles”, and the laid back John Hartford style groove of “Greenbud on the Flower” among others. But no matter the style, the band’s delivery gives every tune a true and honest feel. The album went on to be listed as #6 Best Bluegrass Album of 2012 by Pop Matters, and WNCW listeners voted it #19 in the Top 100 albums of 2012. They will be working on a new album in the winter of 2014. Stay tuned to their website for more details. The Momentum Awards focus on artists and business people who are in the early years of their careers in bluegrass music. Five artists will receive performance awards, while three industry awards will go to key contributors in the bluegrass business. The Momentum Awards are not to be confused with the long-standing IBMA Awards, which are the gold standard for peer-recognized excellence in bluegrass music. The Momentum Awards will acknowledge something undeniable about bluegrass music—that many of its most dynamic artists and entrepreneurs are young or relatively new to the genre, and there are perhaps more artists playing bluegrass or bluegrass-related music than at any time in decades. IBMA looks forward to recognizing the best of them. IBMA Momentum Awards are intended to encourage professionalism in bluegrass music among every generation. For more info, please visit the IBMA website at www.ibma.org. More information as well as their complete tour schedule and updates from the road are available at at TownMountain.net and facebook.com/TownMountain.